With Christmas just around the corner, Sony are increasing the number of PSP titles available for the festive season and Invizimals: The Lost Tribes is one of their latest releases for this ageing console. 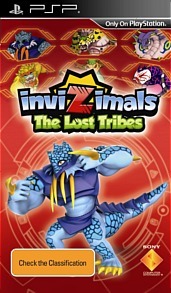 Given the theme about the Invizimals genre, Invizimals: The Lost Tribes is definitely aimed at the younger gamer which uses the camera of the PSP in order to create a fun yet sometimes repetitive augmented reality title. Like the previous game, Invizimals: The Lost Tribes seems like a Western version of Pokemon that requires the gamers to collect Invizimals in order for them to fought against other Invizimals. It may not be the most political correct thing to do with these virtual pets but the journey is not bad. 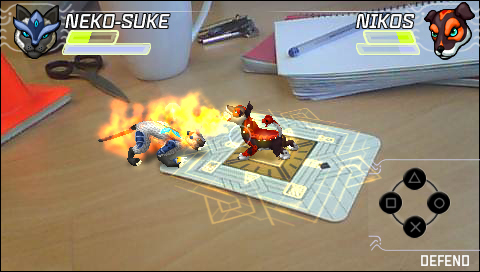 Using pre-recorded live video and computer special effects, players are indoctrinated into the story of this game which of course revolves around a "lost tribe" of Invizimals. Your goal is simple, travel around the world with Jazmin and Doctor Dawson and then use the camera on the PSP to uncover additional Invizimals for your collection to get your personal fight club happening. The game is also a tad reminiscent of the Spiderwick Chronicles as well. 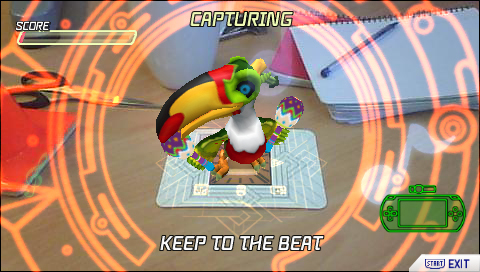 Each of the Invizimals that you need to find are hiding somewhere in the real world and these invisible creatures can only be seen via the PSP camera. Each of the actors in the game will give you clues and hints as to where to find your next Invizimal. For example, one Invizimal may like a certain colour so your job is to find that colour in your house and then scan the environment for this creature. Once you have seen the Invizimal on the screen, you need to set the trap, thanks to the card which comes with the game. This will then launch a mini-game. Given that, there are 70 new Invizimals and 80 creatures to be found in this game, each with their pros and cons. Once captured, you can then name your Invizimal and take them to the fights. Controls are a mixed bag on the PSP, especially when you are trying to capture an Invizimal. Poor lighting and sometimes too much lighting can effect this process. It's a little fiddly but younger gamers should have no problems in mastering the controls. Apart from that, the other controls such as the D-Pad work fine. 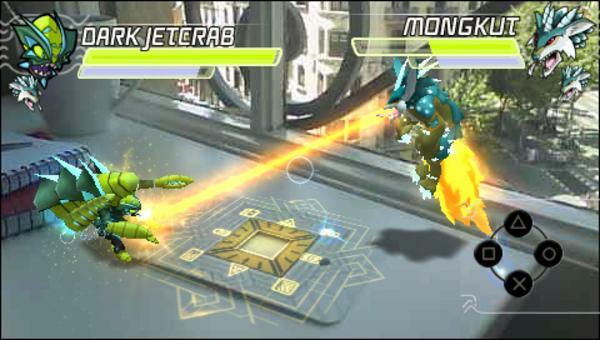 The combat is the star of the game which requires the player to pit their Invizimals against other Invizimals which uses a turn based system with a touch of real-time elements thrown into the mix. Your creatures have four attacks however each of these attacks use a set amount of stamina that ranges from light to hard attacks. 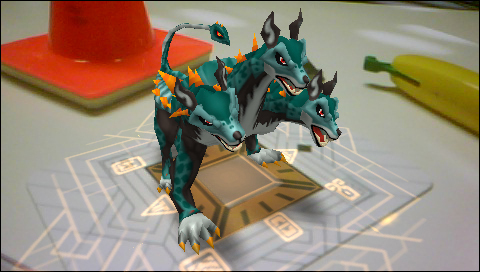 Invizimals also have the ability to level up, however this is done through grinding in the game with the occasional boss battle. Apart from fighting the PSP, you can fight locally and also online (e.g. Tag Team), however we are unable to test this feature due to the lack of participants. However for most, the quest mode will be the main method of gameplay and as a respite from combat, there are plenty of puzzles along the way to be found. Some good and some bad. Graphically, Invizimals the Lost Tribe looks pretty sweet on the PSP with some awesome modelling of the creatures included in this game. They have this real 3D effect to them and there's some great special effects included in the title not to mention some lush lighting. Sound effects are good and music has this action / adventure feel to it. Voice acting is quite professional and so are the sometimes amusing real-life cutscenes. If you enjoyed the last Invizimals game, than this title is definitely for you. In essence, it's a PSP version of Pokemon that uses the innate controls of this console quite well, although poor environments sometimes hamper this. The only other downside is the sometimes repetitive fight options but fortunately there are a few fun mini-games to be found. Check it out!